Living a natural lifestyle has kept me healthier and feeling more energetic now than I did before having my kids. After my twins were born I was wiped out. They didn’t sleep, so I didn’t sleep. Exhaustion was taking its toll. Fast food runs when I could not meal plan, extra coffee in the afternoon, and sugary snacks was not what my body needed to be well. But, that is what my life looked like as a busy mom. I needed an answer to feeling depleted at the end of the day-and sometimes even before the day began. I wanted to support my health in a natural way. I started looking into natural lifestyle options, but it was overwhelming. So many natural wellness companies, claims and warning all over the internet, I needed a natural living easy route. Oh did I get one! Out of all of my research in the natural living and essential oils industry, there was one company that had transparent processes and a purity guarantee that no one else can meet. 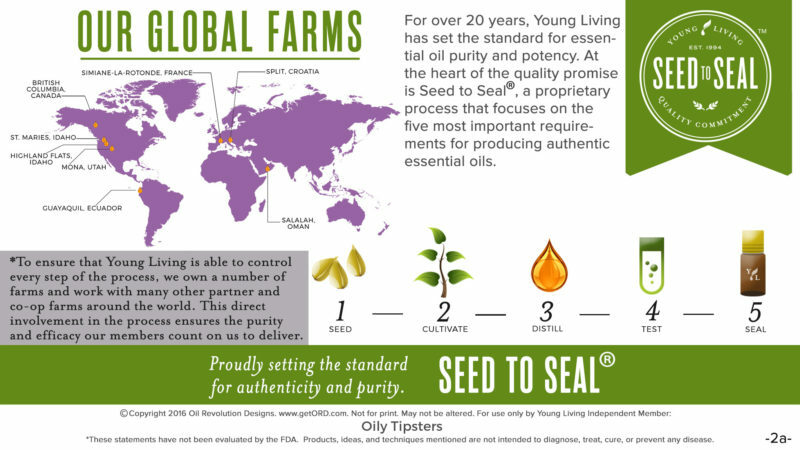 Young Living is the only company that maintains Seed to Seal standards of purity. They control the entire production process and even own their own farms! Most natural wellness companies do not reveal where they grow their plants or source their oils and ingredients, but Young Living does. They are truly transparent. 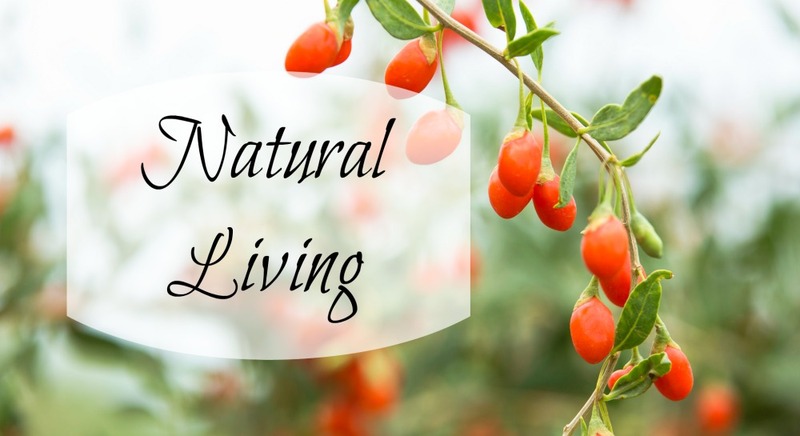 Young Living is known for their essential oils, but what many do not know is they are the natural living easy route! They have essential oils, supplements, beauty and hair care products, skincare, supplements, baby care, kids items, pet products and even toxin-free totally natural makeup! With one click you can change out the products in your home to those that are toxin free. I had nothing to lose, so I jumped in and purchased a Premium Starter Kit of essential oils. Essential oils are the easy route to a more natural lifestyle. My kids do not have to be exposed to toxins in our home, and I can support my health and the health of my family with natural products. • Support the immune, circulatory, respiratory, endocrine, digestive, nervous, and other body systems. Like the blood in our bodies, the essential oil of a plant is used to seal the cut, protect the wound, provide nutrients and oxygen for cell regeneration and guard against harmful microorganisms. They can do this in our bodies too! Since switching out all of our personal care products to essential oils and oil-infused products from Young Living, my energy is supported every day. No more mom slumps in the afternoon or excessive amounts of coffee. How can you get started? It’s easy! Check out the starter kit options below or click here to choose Membership and your kit. Wholesale Pricing: You can save 24 – 44% off retail pricing on Young Living products. You can also save even more money with exclusive specials and promotions every month. Essential Rewards: As a member, you are eligible to enroll in the Essential Rewards program and earn as much as 20 percent back from each order in Essential Rewards points. These points can be used like cash on some of your favorite products. Exclusive Experiences: No other essential oil company will give you the opportunity to experience the Seed to Seal process firsthand at farm harvests and plantings. You are welcome to show up at Young Living farm anywhere in the world, anytime! Community: You get to enjoy a close-knit community of support. 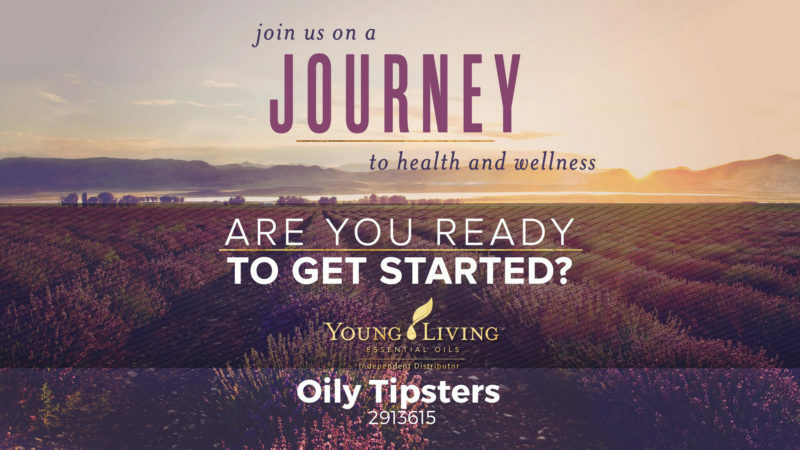 In addition to your sponsor, the entire Young Living family is ready to assist and encourage you in your journey. We have private groups just for our members. Education: My team provides ongoing educational opportunities through events and newsletters to keep you informed and assist you in your wellness progress. You are NEVER required to sell a thing. 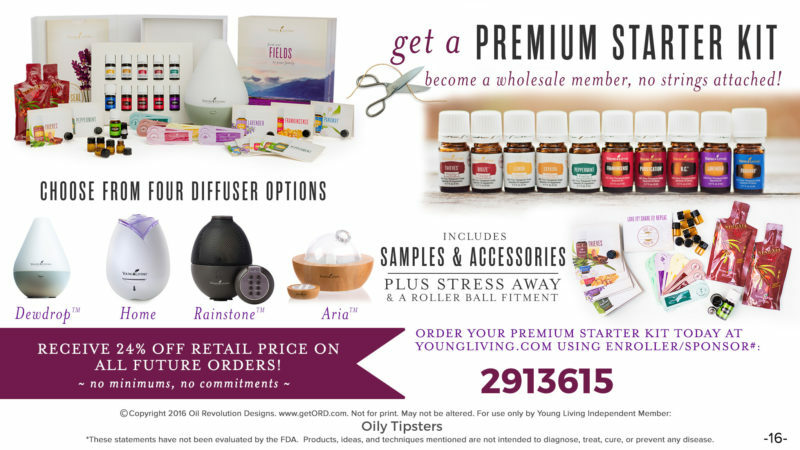 I appreciate that Young Living has NO minimum monthly order requirements to remain a member. To earn commissions as a distributor, your only monthly requirement is only a $50 order! You have the option to build an extra stream of income OR your own home-based business. If you want to explore educating others about the power of Young Living essential oils, the opportunity to build a home-based business is available to you. You can earn from home, on your time, and diversify your income as a Young Living Independent Distributor. We have a great support network for helping you learn how. 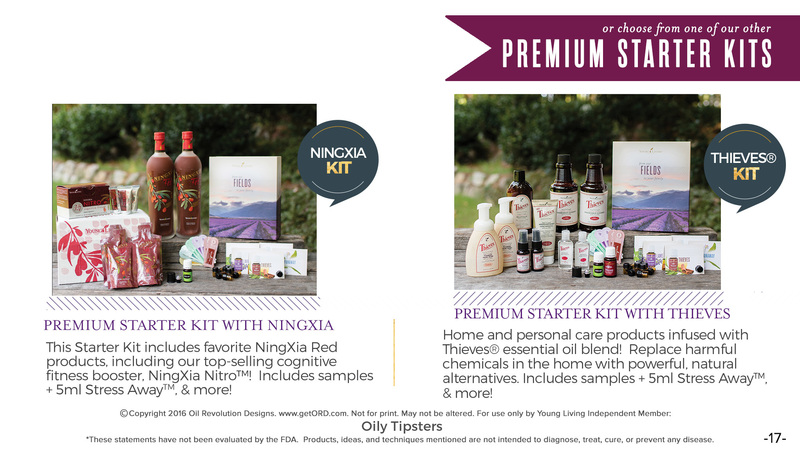 The Premium Starter Kit offers you an array of the most popular and useful essential oils. I will send you a free welcome kit with resources and guidance for getting started with your oils too. If you purchased all of the items shown individually it would cost over $400! 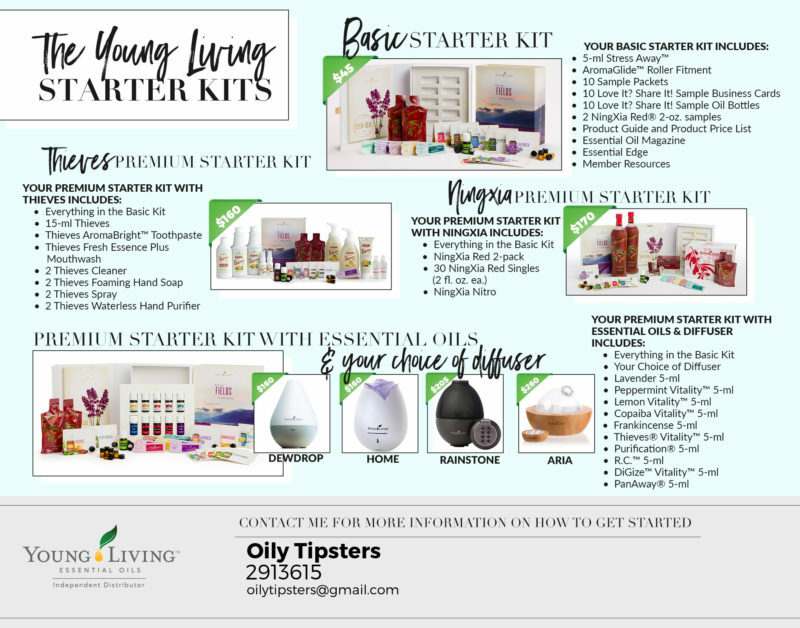 Young Living is offering this kit for $165. A huge savings! I recommend signing up as a wholesale member because you’ll always get that 24% discounted wholesale price. 1.) Go to the Young Living sign up page here. 2.) Click “Wholesale Member” so you get the 24% discount. 3.) Be sure the “Sponsor ID” and “Enroller ID” say 2913615 so I can send you all of the FREE resources for new members! 4.) Pick your starter kit! The premium starter kit is by far the best option. 5.) Essential Rewards = Points Back to Use Like Cash. During the sign up process, I recommend you click to use your order as your first Essential Rewards order. 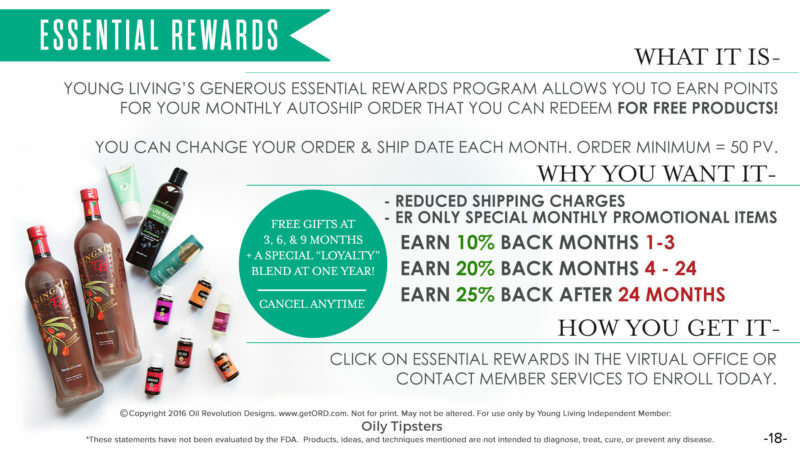 Signing up for Essential Rewards is optional, but it’s a great way to earn free oils. You earn 10% back on your first order plus every month after. Your percentage increases up to 25% over time! The points you earn can be used like cash to purchase product for free. 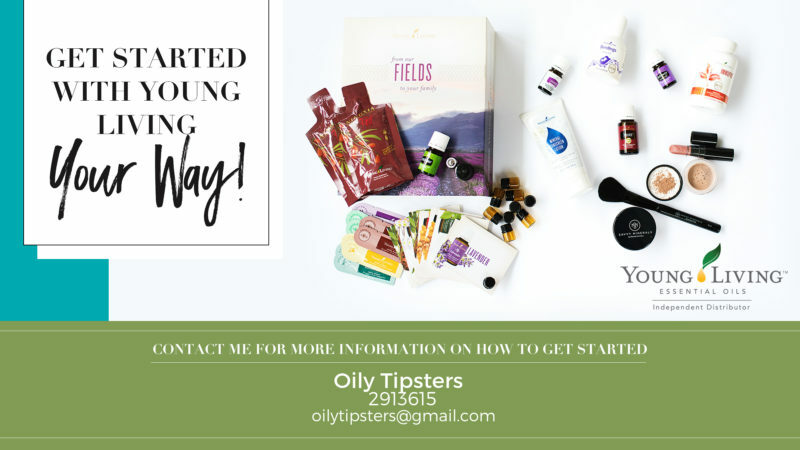 The Young Living Essential Rewards (ER) program allows you to save on shipping costs and receive free products every month just for buying the oils you need anyway. 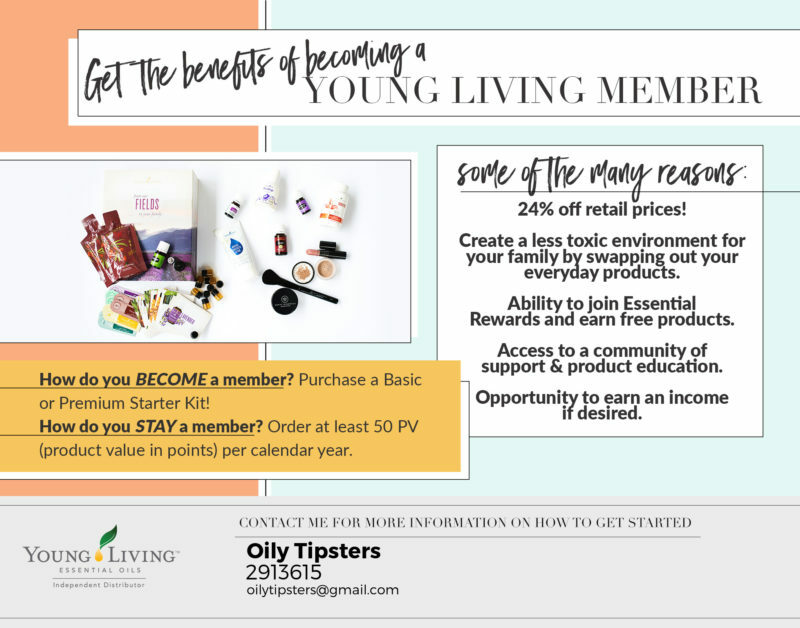 It’s a huge perk that Young Living offers its members. 6.) Checkout following the prompts. 7.) Your starter kit and welcome packet will be on the way! Only uses the first distillation of oils instead of adding chemicals to get more out of the plant. Every other company I researched goes through some kind of an “oil broker” to buy their oils. They have to trust that the oil broker is telling the truth, who has to trust that the essential oil distilleries are telling the truth, who have to trust that the farmers are telling the truth about what they say they are doing. With Young Living, you just have to trust one company. 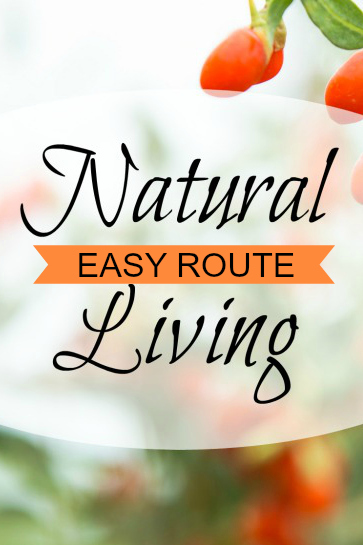 It is the Natural Living Easy Route for sure! ANYONE can visit the farms, participate in the harvesting and distillation, view the Young Living labs, and see the entire process. That’s not an option with any other company! One of the benefits of getting a starter kit is that you also get to join our private Facebook group that’s specifically for questions about essential oils! The reference guide I will send to you in your welcome packet is a HUGE resource too. You can look up almost anything in it and see which essential oils and supplements can be helpful. Young Living has an entire line of personal care products, supplements, meal replacements, energy drinks, and more! Almost every product incorporates essential oils, but there’s a wide variety of products available for your health and your home. 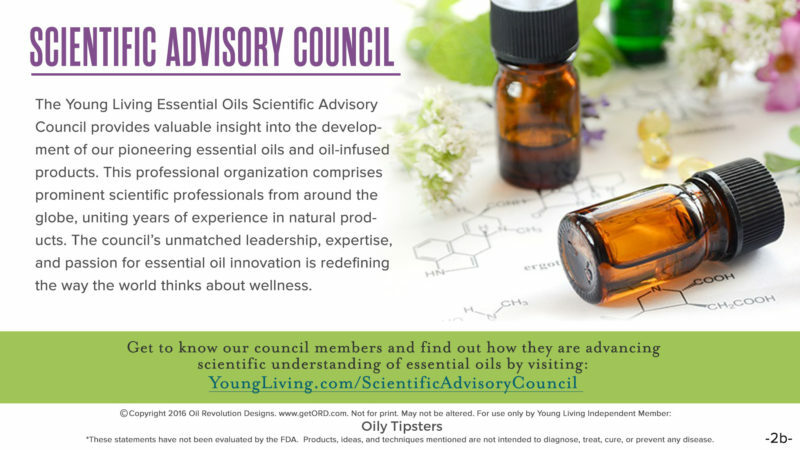 What questions can I answer for you about natural lifestyle, essential oils or Young Living? Hi, Jaimi. What kit would be the best for me? In my teens and preteens I’m battling PMS (very little emotional control sometimes) and mental fatigue after school. I’m hoping for something that will help my kids have enough energy to do their music practicing and chores after a long day at school. Thanks! I definitely recommend the Premium Starter kit. That is the kit that comes with your choice of diffuser, so you can diffuse throughout the day and during homework/chore times to help infuse the house with the oils needed at the time. Peppermint is very energizing, lemon in water is as well. Frankincense and Stress Away are extremely helpful for balancing mood and keeping emotions stable. I highly recommend them. All of those oils come in the Premium Starter Kit and I will also send you a welcome kit of resources with a lot of ways to use the oils to help you and your family reach health goals. Feel free to email me with additional questions: jaimierickson@gmail.com. If you do choose the Premium Starter Kit, I am offering a $25 rebate and a free gift of a small case and 3 roller bottles, so you can take your oils on the go and apply easily. Young Living’s oils have absolutely made a huge difference in my emotional balance and energy every day. I love when others get to experience the benefits too.